Remember when I was rejoicing over the cooler weather last week? I went shopping for all manner of ingredients to make soups and stews only to learn that this week is going to be hot as hell (again). Well, I made my soups and stews anyway, because I’m stubborn like that. I put some in the freezer as a favor to Future Me, but it’s nice to eat with a spoon again! Even with highs hitting the lower 80s (don’t laugh – we’re at 8500 feet above sea level! ), the days are shorter which means the house has more time to radiate its heat away at night. This is good. 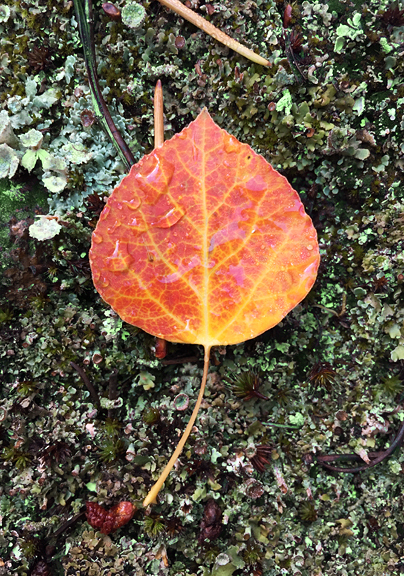 I’m ready for the autumnal equinox! Amazingly, the wildfire smoke has kept away for over a week. 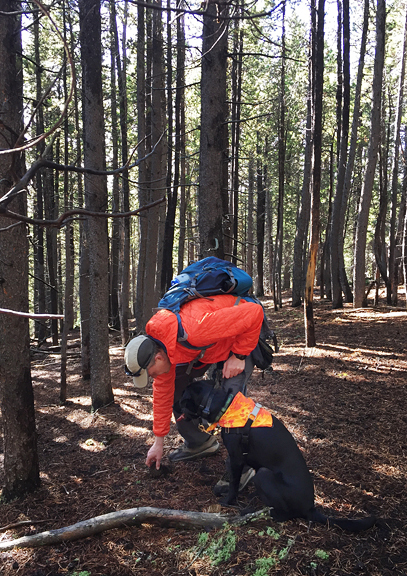 This means more time outside for the pups to hike and for us to verify that we need not expend any more energy mushroom hunting. 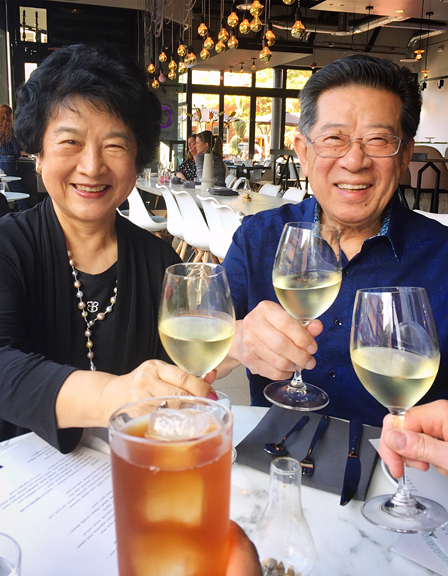 And we saw my folks off this weekend as they left for Virginia. I feel as if the winding down of summer’s hectic demands means I can focus a little more. 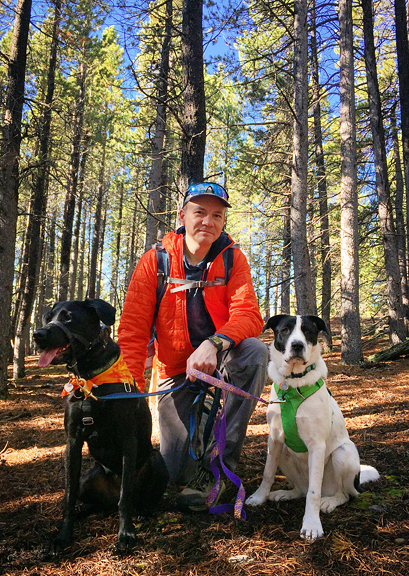 I’m reining in our eating habits, putting regular exercise back on the schedule, and setting training goals for Yuki so we can all be ready come ski season. While taking inventory of the chest freezer, I was delighted to see I had collected a good many huckleberries this summer. It’s enough to get me through next summer just in case it turns out to be a bad year. 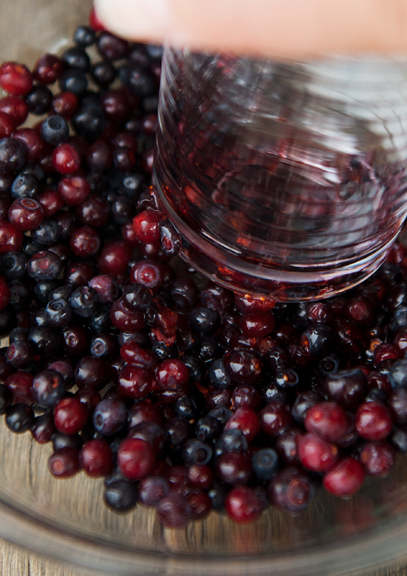 I often seek out recipes that don’t require a lot of huckleberries, but still deliver the essence of the huckleberry. Huckleberry cheesecake ice cream is a great example of such a recipe. 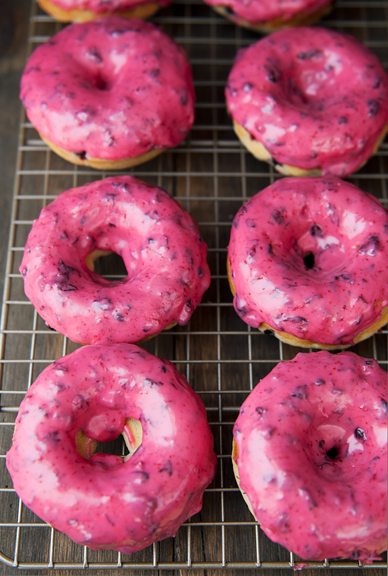 Another is baked huckleberry doughnuts. I think we can all agree that baked doughnuts are not the same as fried doughnuts. Baked doughnuts are more like cake in doughnut form with glazes or sprinkles or dustings. It’s all good in my book. 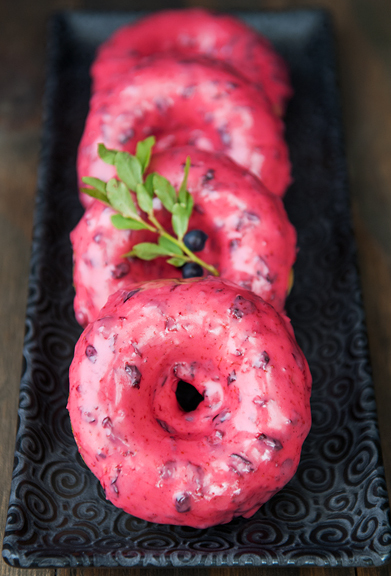 If you are lucky enough to make these doughnuts with fresh huckleberries, you can fold the berries into the batter straight away. 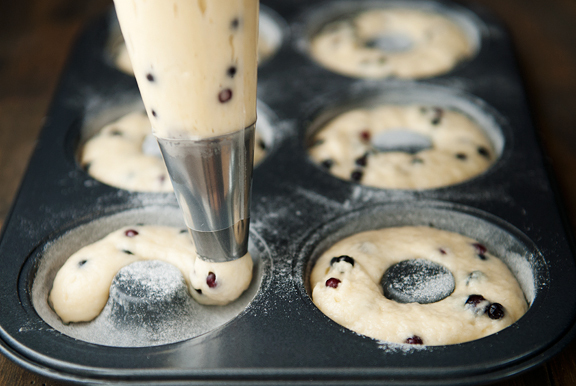 If you are using frozen huckleberries, I would recommend tossing the frozen berries with some flour so that they all get coated, then folding those into the batter. 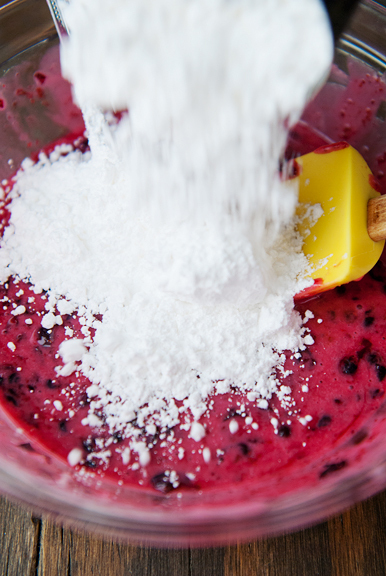 The flour helps to prevent the juice from bleeding too much as you fold in the fruit. If you don’t care about potentially turning the batter purple, then go for it. Same applies for blueberries if you choose to substitute them for the huckleberries. 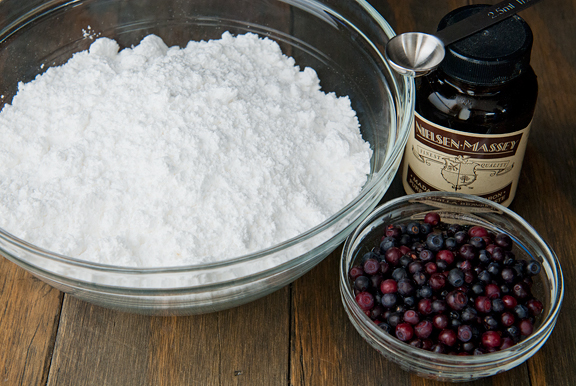 While the doughnuts cool after baking, make the huckleberry glaze. 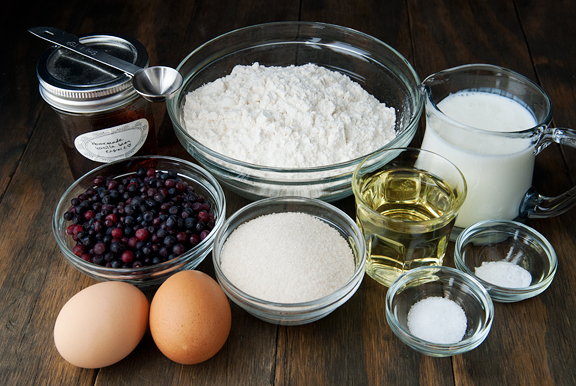 I originally made the glaze with crushed huckleberries, powdered sugar, and vanilla bean paste. After tasting it, I added lemon juice because it contributes a little more dimension. 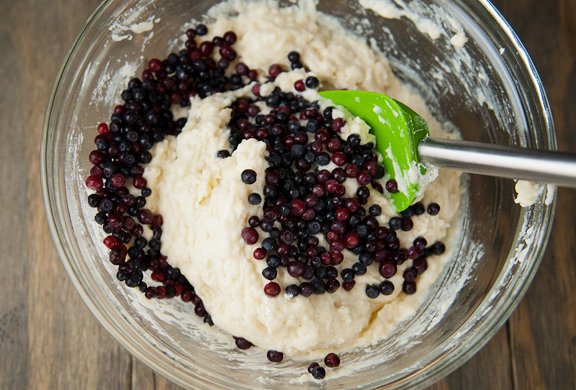 If you don’t have vanilla bean paste (it’s so good! ), use vanilla extract. Don’t dip the doughnuts until they are completely cooled. If you try to move too quickly on this while they are still warm or hot, the glaze will run off the doughnut and leave bald patches. The icing should be thick enough to coat the doughnut, but not so thick that it pulls off the doughnut and back to the bowl of glaze. Let the doughnuts rest on a cooling rack as the glaze sets. This takes about 10 minutes in my arid climate. 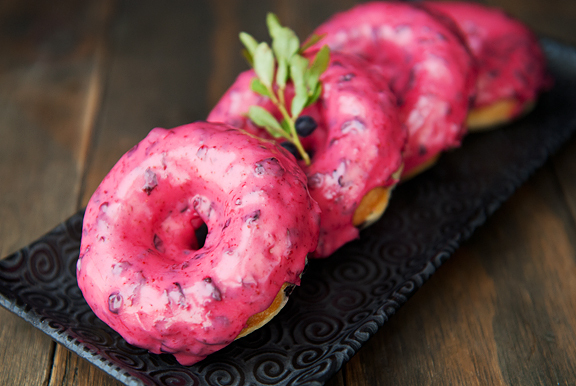 What you get is a visually striking pink doughnut with a decidedly huckleberry flavor. The tiny berries float suspended in a tender cake matrix. After having eaten one (or two) of the doughnuts, I think it’s worth investigating a fried version in our pursuit of all good huckleberry things. 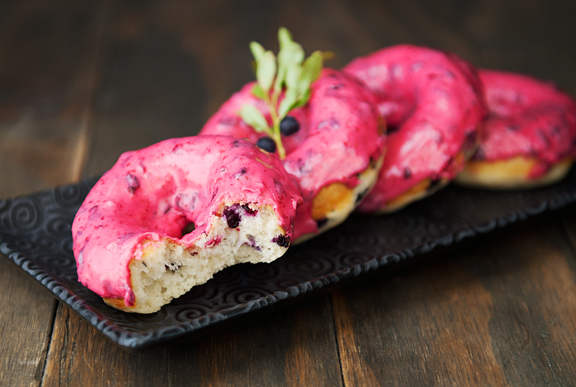 In the meantime, these baked huckleberry doughnuts will easily please any crowd. Preheat oven to 375°F. Brush doughnut pans with butter and dust with a little flour. 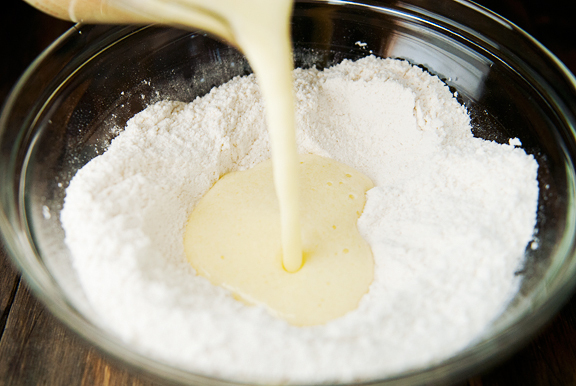 Tap the excess flour out of the pans. 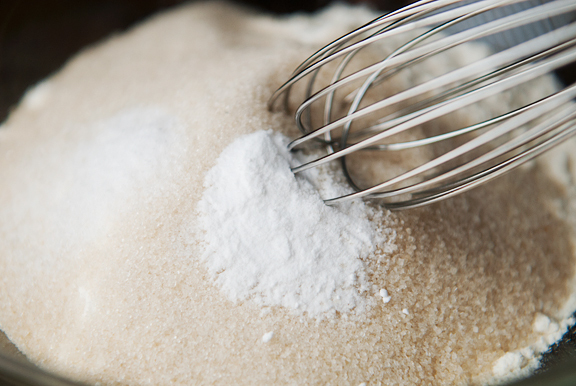 Make the doughnuts: Mix the flour, sugar, baking soda, and salt together in a large bowl. Make a well in the center. 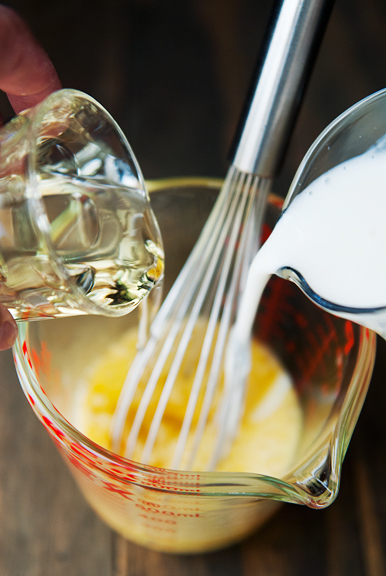 In a medium bowl or in a large measuring cup, mix the eggs, buttermilk, vegetable oil, and vanilla extract together. Pour the wet ingredients into the well of the dry ingredients. Stir until just combined. Fold in the huckleberries. 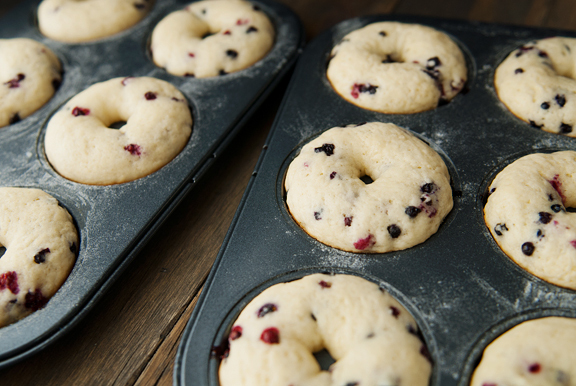 Note: if using frozen huckleberries, toss them with a little flour before folding into the batter. Pipe or spoon the batter into the doughnut pans taking care not to fill higher than the center post’s top (about 2 1/2 to 3 tablespoons for standard doughnut pans). Bake for 11-14 minutes until the bottoms are golden brown (14 minutes for me). I give the doughnuts a gentle twist in their pans before removing just in case some parts stick to the pan itself. That way they are completely free before inverting. Invert the doughnuts onto the cooling rack and let cool. 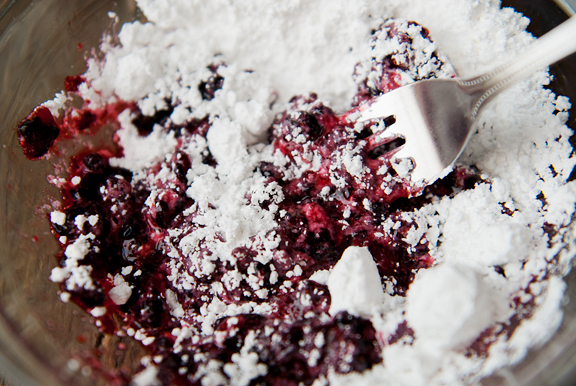 Make the glaze: Stir 1 1/2 cups of the powdered sugar into the crushed berries. Let them sit for a minute. Add the rest of the sugar. 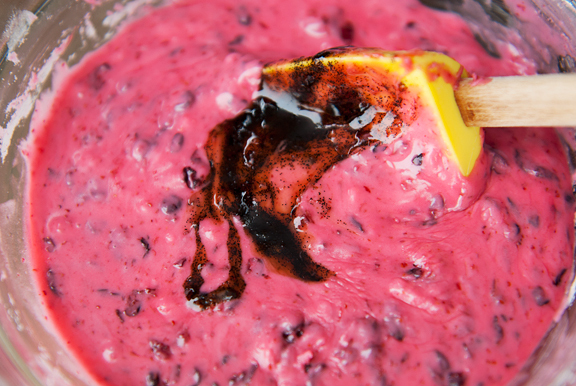 If the color looks good and pink/purple, stir the vanilla and lemon juice in. If not purple enough, add a few more berries. Let the glaze rest for a minute. 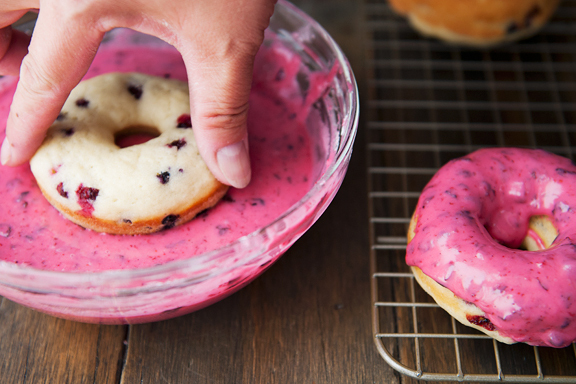 Dip the tops of the doughnuts into the glaze and let any excess drip off. 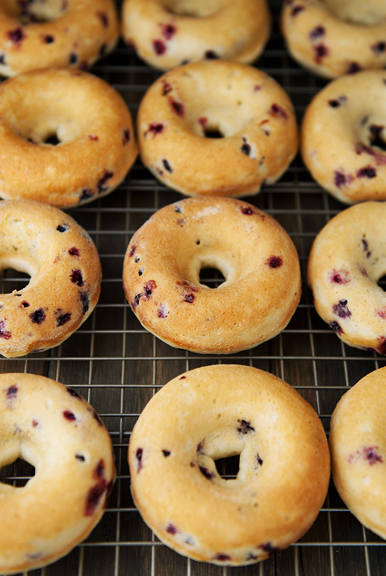 Place the doughnuts on a cooling rack to allow the glaze to set (about 10 minutes). Makes 14-16 doughnuts. Those are lovely. I am sorry it is heating up again for you, but I will hope that the smoke stays away! Now I have an ‘absolutely-must-make’ recipe to test my new nonstick baked doughnut. Three little grandkids and Grandpa will be happy beneficiaries. Here in the southern Canadian Rockies (approx. 50ºN), we had a bumper year of huckleberries and like you, am gradually bringing them out for treats. Thanks for the recipe. Oh the colors! Both in your baking and in the trees. Here in Colorado Springs we are forecasted to have one more day of oppressive heat. Good riddance! Rose - Right? I am so with you!